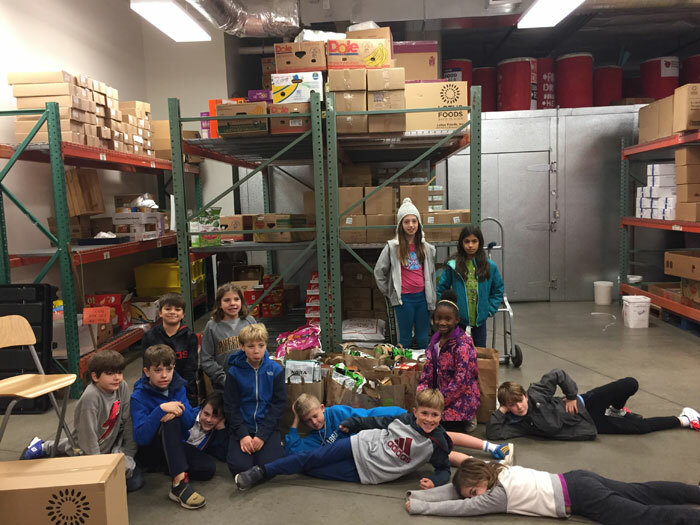 Photos by Katie Rose Taulbee: Valley School fourth-graders skipped their Thanksgiving feast to help the University District food bank this year. 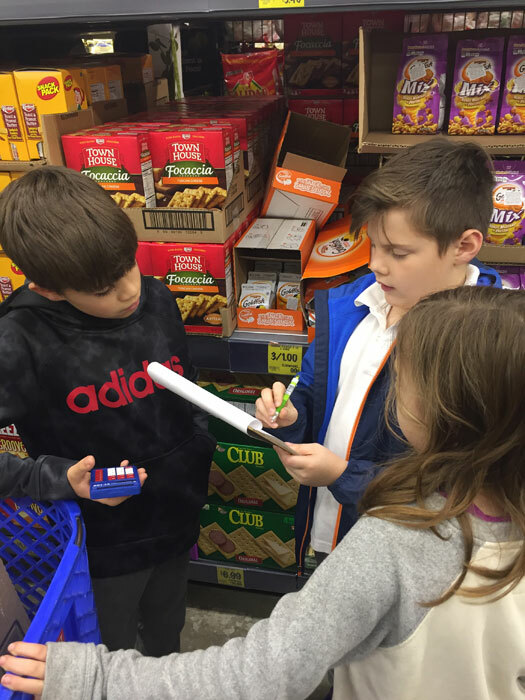 Students check their list while shopping for the food bank at Grocery Outlet. Thanksgiving: for many, it’s a time to be thankful for what you have, and to enjoy a feast. But this year, the Valley School’s fourth-grade class took a different approach. While other classes were enjoying Wednesday “Friendsgiving” lunches, the fourth-graders chose to celebrate the holiday by giving to other students in need. Students asked their families to contribute whatever money they would have spent on food for the typical in-class celebration. Then, on Thanksgiving Eve, they traveled to the neighborhood Grocery Outlet and broke up into small groups, armed with budgets and shopping lists. “The food bank gave us a list of recommended ideas,” said Simone, one of the fourth-grade students. “The focus is on nutritional, single-serving, easy-to-open, age-appropriate, shelf-stable foods,” Simonds added. “It was a challenge to find healthy food in our price range that would not expire,” said student Nicky. “We got a great price on tuna and milk,” said classmate Alexander. The group brought their purchases to the University District food bank, which participates in a program called Packs for Kids, providing meals and snacks to children who are at risk of going hungry on the weekends, when free and reduced breakfast and lunch aren't available. For the teacher, the best part came with the delivery. When asked if the students felt like they had missed out on a traditional feast, they emphatically replied, “No!” Perhaps they were moved by the spirit of generosity; perhaps they were thinking of the celebratory homemade donuts they had enjoyed instead. Jay Burnett is a fourth-grader at The Valley School. He is co-editor of The Valley Viewpoint, a biweekly school newspaper.